Not valid with any other promotional offer. Valid for Buda/Kyle locations only. AIM is an HVAC company that will service, repair, replace or install your HVAC unit. In addition we offer blown-in insulation, duct cleaning, dryer vent cleaning, duct sealing, radiant barrier and more. Our staff is professional and knowledgeable.
" I am very happy with AIM’s service and professionalism. They were very careful not to dirty or damage the house in any way, and they were happy to answer any questions we had. They also filed the forms to get a rebate from our utility company. I highly recommend them." 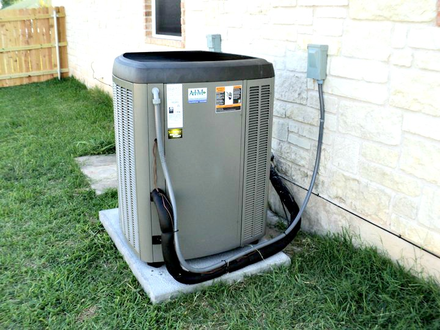 Aim A/C and Heating Services is locally owned and operated in Buda/Kyle. AIM provides new installation, replacements, weatherization, insulation, indoor air quality, repairs, maintenance, custom air filters and inspection for both heating and cooling systems.